We do Continuous Integration Unit Test, API, and Functional tests to makes sure the code compiles and works as designed using Jenkins. Automated testing has become a must as there are many phases involved in the software development life cycle. In today’s time, CI test automation has become essential as this will save time & let developers to focus on testing tasks. In agile software development environment CI is an integral part & it enhances overall process and software quality. Continuous Integration from Jenkins automated testing helps catch the bugs earlier in the development process, by doing this automated performance testing you can determine the readiness of the build to the next stage process. Jenkins is an ideal automated open source testing tool built in Java, widely used by us for releasing a high quality software. Jenkins CI server performs an automated build that includes testing, reporting, and other actions each time the code face changes. We can even add performance tests to CI tool, which will be provide us confidence in Performance aspects. 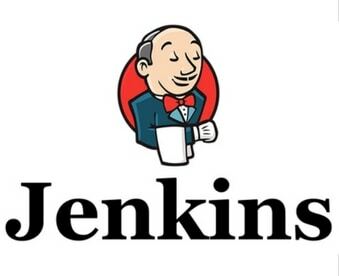 As soon as the Dev commits the code in their Source code management(SCM) repositories then Jenkins will pull the code and starts preparing the build, (which also includes compiling,testing the application using the automation scripts, and reporting) running the tests against the application and test reports are generated. Once the build is completed then Jenkins will move the updated build in the deployment server based on the test results as configured. We have a dedicated team of QA professionals who have the know-how of configuring Jenkins. Besides, we have even gained a familiarity of CI for Mobile Applications, Web applications.